First-person dungeon RPG due out this winter in Japan. Nippon Ichi Software’s new dungeon RPG is a PS Vita game called Coven and Labyrinth of Refrain (Refrain no Chika Meikyuu to Majo no Ryodan), the latest issue of Dengeki PlayStation reveals. It is due out in Japan this winter. Other than that the game is a dungeon RPG played in the first-person perspective set in a “Nippon Ichi Software-like fun and dubious world,” and that there is a character who wields a spear, nothing else is known about the game’s content. 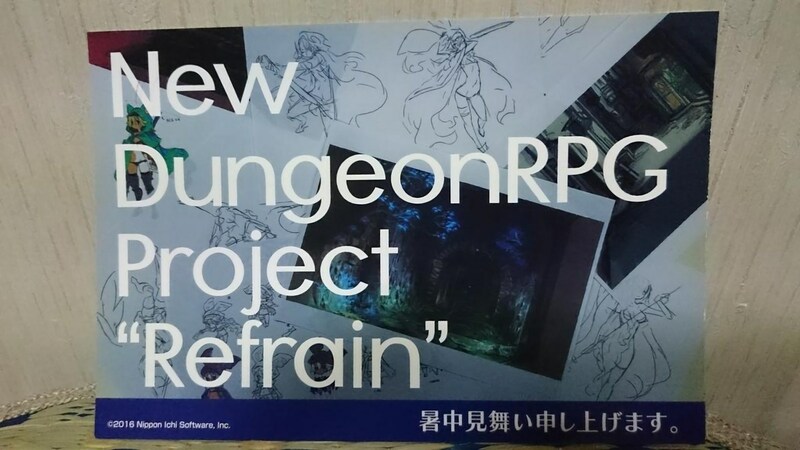 Refrain is directed by Tatsuya Izumi (The Witch and the Hundred Knight, Hayarigami) and features character design by Takehito Harada (Disgaea, etc. ).